Established in 2013, Showfighter has fast established itself to become the leading events and boxing promotions company in the Midlands. Our start all stemmed from a simple fundraising idea back in late 2012. 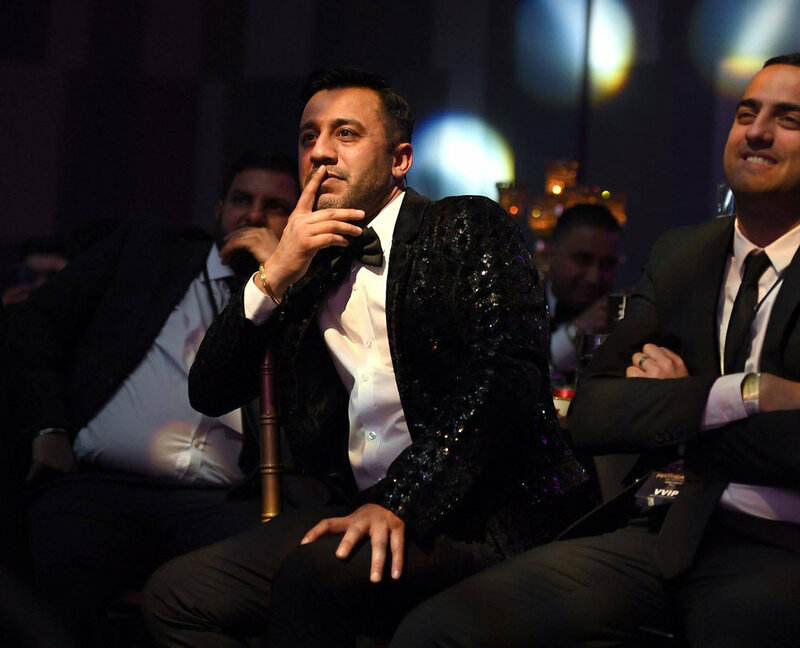 Founder, Andy Sahota, has a strong background of working in events with a passion for raising awareness and money for numerous charity organisations over the years. From organising events in support of charitable causes locally to events with national level charity partners, Andy’s many event experiences range from charity bike rides in the UK and in Europe to star-studded gala nights. Having been approached by a close friend who asked him to organise, manage and deliver a boxing event to raise money, Andy’s enthusiasm to hold an event at the legendary boxing and wrestling venue, The Civic Hall in Wolverhampton, was a perfect opportunity for him to re-live some fond childhood memories of being back at the Civic Hall for a big sports event. The Civic Hall the place where Andy had shared so many cherished childhood memories through his father being a Professional Wrestler back in the 1980-1990's, and the Civic was his local wrestling venue. Andy would always help promote the events even at such a young, getting up at the crack of dawn and putting up posters in all of the local shops. Andy knew exactly what he wanted to do and the scale he wanted for this ambitious project, within two weeks the theme for 'King of the Ring' was born and the venue was booked. With the event being such a unanimous hit, the spark was lit and Andy ploughed his energies into creating the platform for ‘ShowFighter’ to be created. 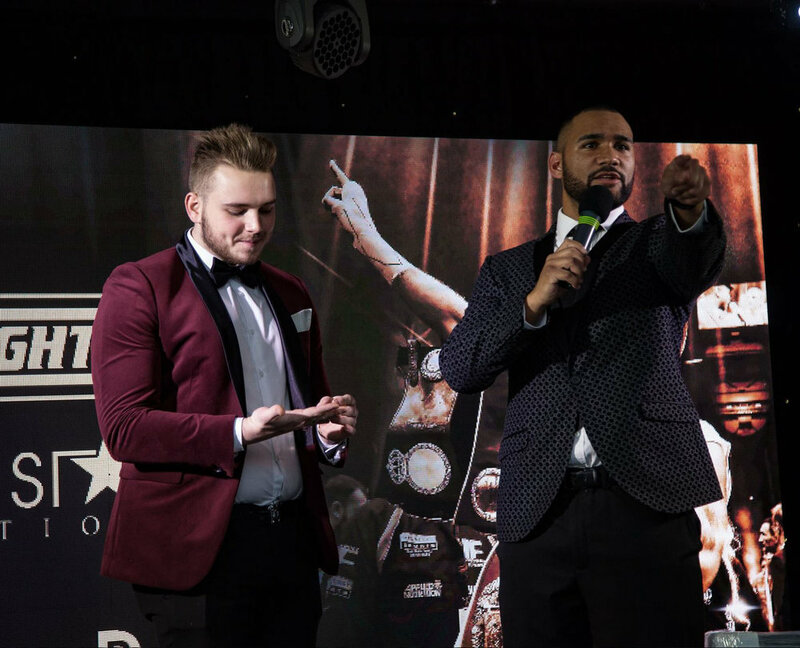 Since 2014, ShowFighter has hosted a number of boxing events at the Civic Hall and across reputed venues across the Midlands, including the high-profile The International Convention Centre (The ICC) in Birmingham. Having attended many sportsman's dinners and celebrity events, Andy noticed a pattern. Each and everyone one of them predominately attracted a middle-aged audience, mainly males and generally a sit-down meal with celebrity speaking and the audience listening. This is where Andy decided to change the concept of a sportsman’s dinner and add more glitz, glamour and entertainment to the concept. The aim was to also attract a bigger female audience as well as a focus on a younger and affluent age-group who like to spend on music concerts, performing arts and sporting events than the more-choosier and price sensitive middle-aged crowd more accustomed to being dinner guests! The first dinner evening, 'A Night of Champions' featured World Boxing greats Frank Bruno, ‘Terrible’ Tim Witherspoon and Tony ‘TNT’ Tucker. ShowFighter’s aim was to introduce a fresh new entertainment experience with a VIP feel and set-up that would equally appeal to a family audience and also to millennials with disposable income and an open mind to enjoy a bespoke lifestyle. ShowFighter has formed a dedicated team and achieved a great number of successful events in a short space of time with our events and planning projects getting bigger and our celebrity guests pushing our brand to the forefront of the entertainment scene in the Midlands. Who can forget our memorable event hosting the legendary Floyd Mayweather Jnr or the British World Boxing Champion Anthony Joshua? We enjoy an expansive list of existing clients who have worked with ShowFighter numerous times on various projects and events for all their hospitality needs. Many of our clients are happy to provide references regarding their experiences and we are confident we will continue to deliver world-class events time and time again!